Loop systems are a vital tool for people who are hard of hearing to allow them to go about their daily lives, and hear such everyday things as the television. To give them their full name, induction loop systems mean that people with hearing problems do not have to suffer at theatres, in church services or anywhere else where there is amplified speaking. How do Loop Systems Work? If an induction loop systems is installed in a room, it takes all amplified sound within that room and transmits it to a hearing aid. The hearing aid must be set to the T setting, or telecoil setting, for it to work. 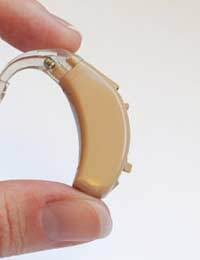 The hearing aid then processes the sound so that the person wearing it can hear the amplified sound clearly and without any other interference. In this way, the loop clears the sound, rather than amplifying it alone. Much like wifi can be accessed outside of the area it is intended for use in, so too can an induction loop systems. If there is a loop in a neighbouring room or flat, if the loop is big enough, you may pick up what they are listening to there as well and this could include private conversations so be wary to have as small a loop as you can manage on your own home. Where are Loop Systems Used? Loop systems can be used anywhere but are usually used for amplified voices. Common places include theatres and churches, where people could be sitting some way from the speakers. But they are also commonly used in people's homes so that the hard of hearing person can listen to TV or radio with no interference. Conference rooms usually have loop systems installed as do train stations and even airport. A particularly useful place is ticket windows where it is important to hear what the other person is saying but often difficult. Places which have a loop system installed usually have a small ear on a red or blue background displayed somewhere. Who can use a Loop System? Anyone with a hearing aid with a telecoil can use a loop system. This is usually most hearing aids produced in the UK - about 90 per cent. It is clearly only beneficial to people who can benefit from a hearing aid - but for those people can make a huge difference to their lives. the trickiest part is getting people to remember to change the setting to T when there is a loop system in use. Loop systems are yet another example of technology being used to improve the lives of people with a hearing system. Wearing a hearing aid may at first take some getting used to but in the end, most people agree that the benefits brought to them by wearing such a device and using a loop system far outweigh the negative side of having to wear the hearing aid in the first place. And because the sound is delivered through people's own customised hearing aids, the end result is tailored to the individual as well.